Chinese researchers say the public needs to know more about these batteries and their potential hazards, which are not limited to combustion. The scientists at the Institute of NBC Defense and Tsinghua University say they have identified more than 100 toxic gases, including carbon monoxide, given off by lithium-ion batteries, which are in an estimated two billion devices worldwide. While the present battery concerns have mostly to do with fire, Sun and her colleagues are focusing on the gases produced by chemicals in the batteries. She says these gases are dangerous – even potentially fatal. In addition, she says they can cause strong skin irritations, as well as inflamed eyes and and nasal passages. Much of the danger occurs during and after the charging process, according to the research. The Chinese study found a fully-charged battery emits more toxic gases than a battery with a 50% charge. 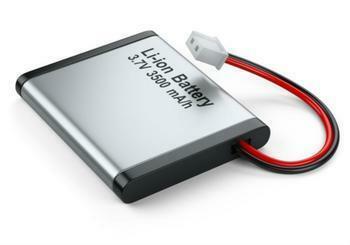 Batteries can sometimes become overheated if charged with the wrong kind of charger. Apple last week filed suit in federal court in California, claiming that most of the Apple chargers sold on Amazon were not made by Apple, but were knock-offs. In the study, the researchers were able to cause 20,000 lithium-ion batteries to heat up to the point of combustion. The researchers said most of the devices containing the batteries exploded. All, they said, gave off a wide range of toxic gases.